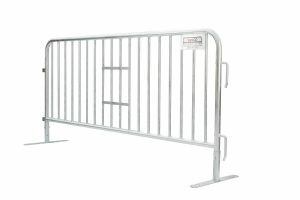 Boulevard Supply offers sales of heavy duty galvanized steel crowd control barriers and pedestrian barricades to party rental and event rental companies, concert and sports venues, municipalities and others to maintain and control crowds at large heavily attended events. 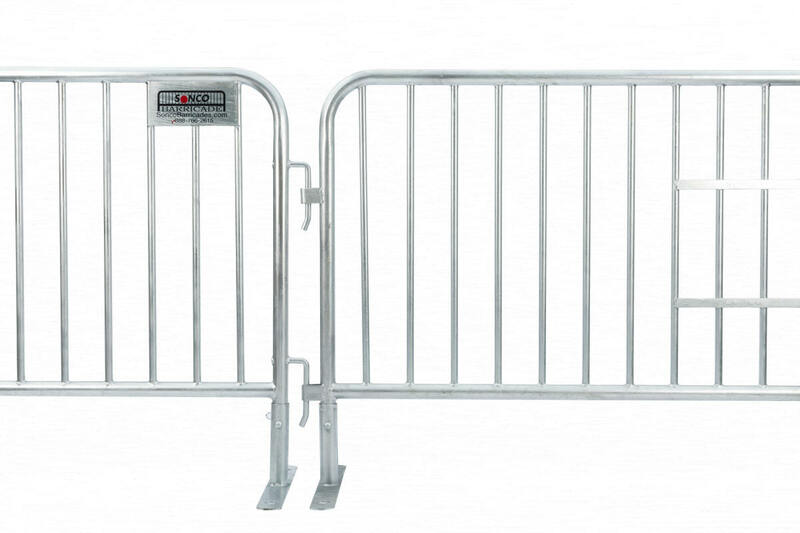 We have compared multiple brands of event barricades and have chosen to offer Sonco Barriers. 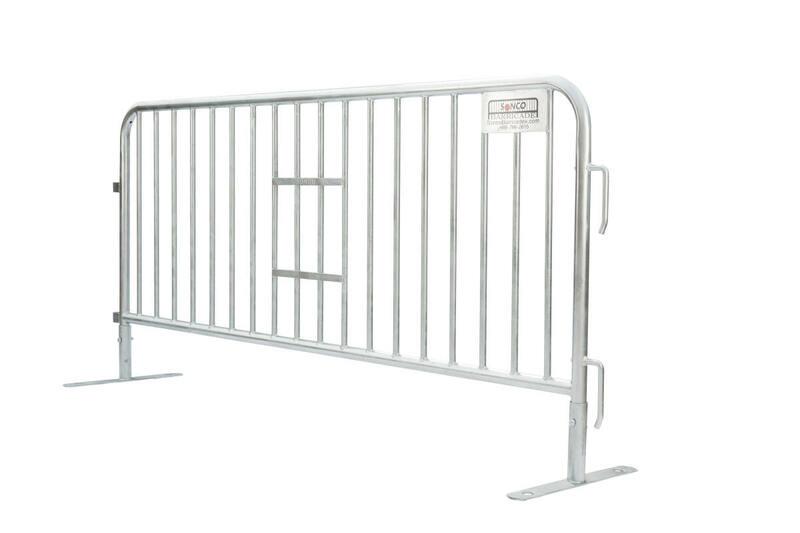 Sonco crowd control barriers are interlocking heavy duty event barricades design for quick assembly and disassembly and will withstand years of handling and wear and tear while providing peak performance. We drop ship from multiple warehouses across the US which reduces shipping cost and transportation time. 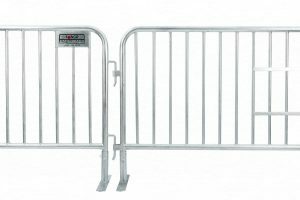 Heavy duty Sonco event barricades are constructed with 1-5/8″ 16 gauge galvanized steel tube frames and ¾” uprights that are the strongest in the industry. 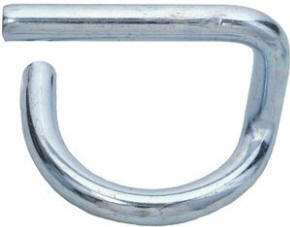 Sonco Barricades utilize gravity pins instead of bolts to attach the feet to the barricades. This eliminates the need for tools and time consuming assembly and disassembly. Bridge foot crowd control barriers are recommended for fields or where surfaces are likely to be uneven. Flat foot crowd control barriers are ideal for concrete, asphalt or indoors or where surfaces are likely to be flat and level. The flat feet are also less of a tripping hazard than bridge feet. Take a look at our barricade cart that makes transporting and storing crowd control barriers a breeze.